This website allows you to type in the name of a book or author and get a listed of related titles. The list is based on suggestions made by people who also enjoyed the book or author you searched for. If you are not familiar with TED, it stands for Technology, Education, & Design but since it began it has broadened to include speakers on nearly every subject you can think of. The kids and teens that speak at TED Youth Talks are all amazing. 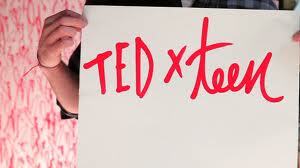 The focus of the conversations on this TED site is on teens and their power to change the world. Kids, parents, educators and everyone else with passion for helping kids reach their potential are invited to join this community. Listen to these young speakers as they share their inspiring stories of empowered learning. The Hub: Your Connection to Teen Reads is to provide a one-stop-shop for finding information about teen reads, including recommendations for great teen reads, information about YALSA lists and awards, book trailers and other book-related videos, and best of the best lists. The No Flying No Tights website offers reviews on comic books, graphic novels, manga, anime, and more, for kids, teens, and adults. Thoughtful book reviews, compelling features, in-depth author profiles and interviews, excerpts of the hottest new releases, contests and more every week. YABC is a place for people who love books. It is also one of the largest sites targeted towards tween and teen readers. You can find book reviews by readers and staff reviewers, author interviews & bios, chapter excerpts, exciting giveaways, and much more.